In 1957, a small group of Lutherans was persuaded by members of Faith Lutheran, Fair Oaks, to begin a LC-MS church in the new Rancho Cordova. The enthusiastic group held their first service in the Grange Hall on Kilgore Road. They were led by Rev. E. H. Holston. They soon outgrew the Hall and proceeded to look for property to buy with a loan of $30,000 from the CA-NA District. Rev. Don Herman led them through this process. They secured the acreage at 10400 Coloma Road and proceeded to build. On April 28, 1957, the Congregation was officially named "Cordova Lutheran Church". The Constitution and By-Laws were adopted and the Articles of Incorporation were filed. It is important to note that St. John's Vianny Catholic Church and the new Cordova Lutheran Church were the on ly churches in town. As the population grew, other churches came and members joined their particular denominations. Originally the present Church was to be the Parish Hall and a new church building would be put where the present Parish Hall is now. As time passed and finances waned, the members agreed to build a smaller building to be called the Education building which is now our Parish Hall. Rev. Al Volmer was called and served our Congregation from 1960 to 1967. We had progressed from being a Mission church to becoming self-supporting. On January 1, 1968, Rev. Paul Janke was installed as pastor and served the Congregation until Jan uary 31, 1974, when he went into the Mental Health ministry and later Director of Lutheran Social Services in Sacramento. During Pastor Janke's term here, the Church went through some remodeling. Tile floors were laid and a center aisle carpet was put in; the lighting was improved and brown cork was installed behind the front cross. Pews replaced the chairs and a new organ was donated by the Miller family. Ladies who were instrumental in LWML, Sunday School and Confirmation included Ruth Cole, Pauline Silvey, Evelyn Cook, Dolores Johnson, Jackie Andrews and others. In August 1974, Rev. Herbert Mitchell was installed as the third called Pastor of Cordova Lutheran, serving until February, 1979. Rev. Mitchell was artistic, and during the time he was here he attended a theological seminary in San Francisco and earned his Doctorate Degree. To obtain this he wrote and directed several short TV plays included "Baptism in Red" (beheading of John the Baptizer) and "The Love Cord" (Prodigal's son). In 1978, the "Rancho Cordova Cultural Center" and "Meals on Wheels" for seniors started in our Parish Hall using an Aid Association for Lutherans grant as startup moneys. In 1980, the Parsonage and some acreage were sold enabling us to pay off our Church loans and we burned the mortgage. In February of 1980, Rev. Arthur E. Petrowsky, Air Force Retired Chaplain, was installed. During his term here, the Constitution and the By-Laws were rewritten; the stone work, cross and lighting were put on the front of the church; the new kitchen was built in the Parish Hall; and the Church celebrated its 25th anniversary. In August of 1989, Rev. "Pete" Petrowsky accepted a Call to Okinawa, Japan. Rev. Robert Visser became our Vacancy Pastor, and he led the Congregation through a "self-study" process. He was with us for one and a half years. On July 14, 1991, Michael R. Beyer was ordained and installed. 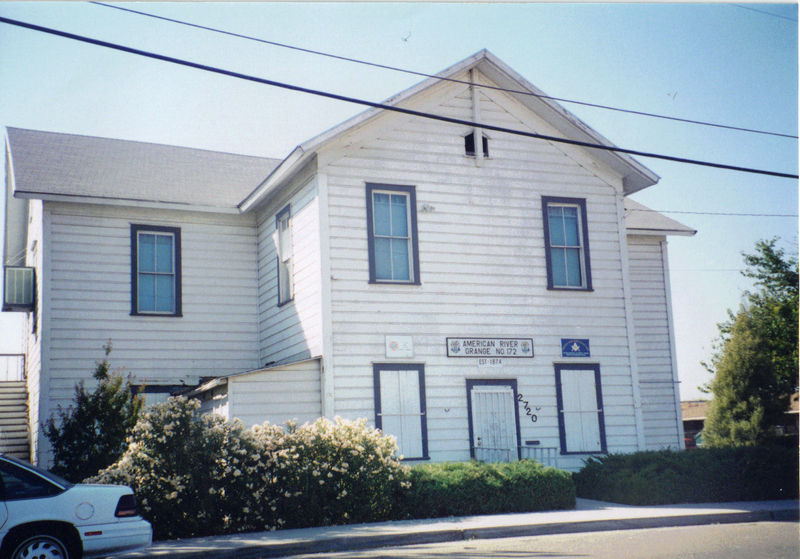 In September of 1991, the Sacramento Luthe ran High School (SLHS) had its birth in our Parish Hall with an enrollment of 23 Freshmen and Sophomores directed by David Kretzman. They held their school here for two years until they outgrew the facilities. In May 1996, Rev. Beyer was inducted into the Commissioned Chaplaincy program in the Air Force Reserves. In April 1997, the Church celebrated its 40th anniversary. In October, Rev. Beyer accepted a Call to Chula Vista, CA. For the next two years, Rev. Bob Hanebutt and Deacon Ron Judish led the Congregation until the arriv al of Rev. John M. Standley on July 23, 2000. Along with his pastoral duties, Rev. Standley has been able to provide musical leadership in the congregation including the restoration of the Adult Choir. During his time with us many improvements to the facility have been acomplished including upgrades to the heating and airconditioning. A new Alborn Galanti organ was purchased in 2007 and was dedicated at the 50th Anniversary celebration. Pastor Standley currently serves as CNH District Secretary and has been active in other areas of leadership in the Circuit and District. Rev. Standley retired after 17 and a half years of service to our congregation.